When we left our Founders last time, Siobhan is in labor and ready to pop and Deaglan is panicking about the upcoming birth! 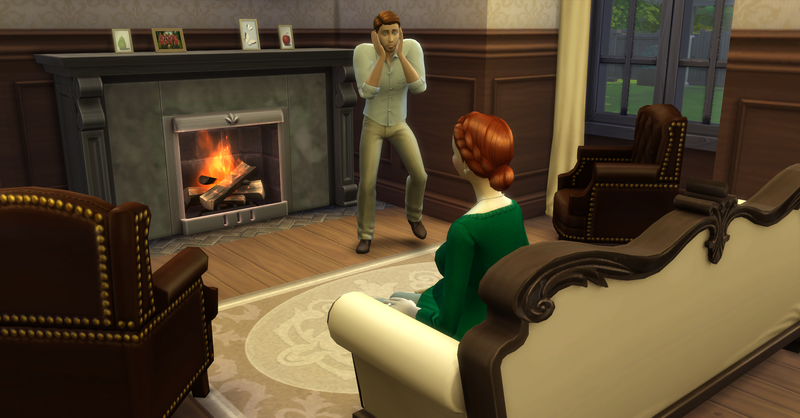 After Deaglan’s initial panic over Siobhan going into labor, they quickly rush to the hospital for the birth. Siobhan checks in at the receptionist’s desk and Deaglan is here, hiding behind Katrina Caliente in this pic. 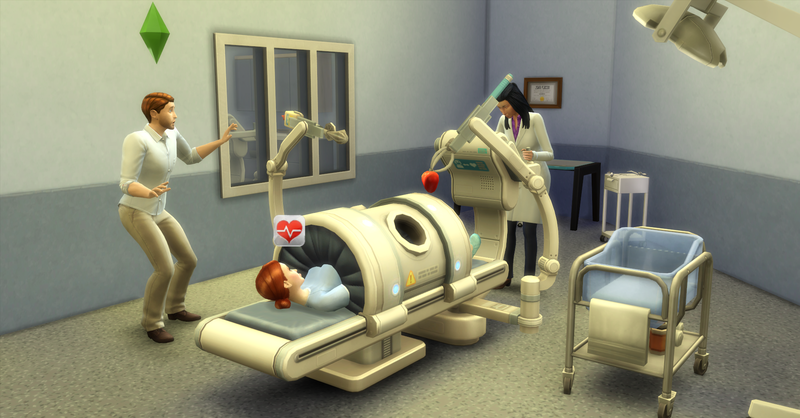 They are quickly whisked off to the delivery room, Deaglan is still panicking because he is sure something will go wrong during the procedure. However all goes well, despite the heart/baby mix up and Siobhan gives birth to a beautiful baby! Look at how proud the parents are and Deaglan seems to have calmed down at last. But wait was is this? Siobhan keeps pushing and gives birth to Triplets! How could this have happened? Authors Note: The second baby is in the pink bassinet and the third was actually spawned outside the hospital, I guess there wasn’t enough room for them all in there! I laughed out loud at the comment about “despite the heart/baby mix-up!” Those NPC doctors seem to be pretty poorly trained, in my experience! I wonder if you have a playable doctor who is in the upper levels, if they deliver your neighborhood babies and do a better job, or if you’re always just stuck with the NPC doctors. Congratulations on the triplets! Wow. 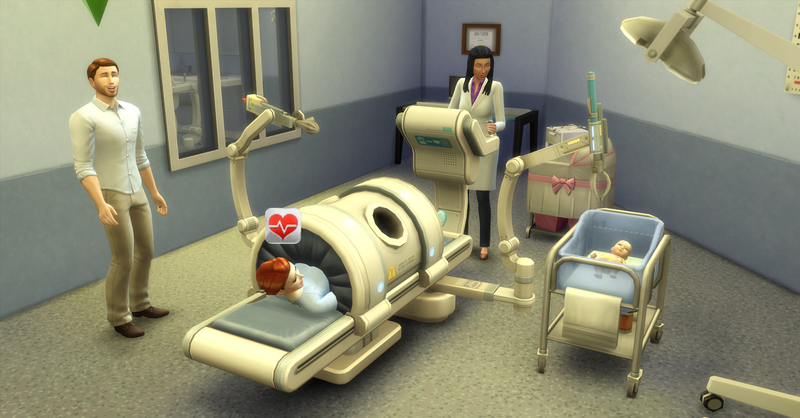 I’ve seen other simmers comment on having triplets in the hospital, that one ended up on the street. Oops. Yep, the doctor seemed pretty low level and one of my triplets did end up right outside the delivery room in the bushes!